Objective: The main reason of the present study is to analyse the methods and protocols that have been discovered and used until now in endodontic therapy for a necrotic tooth with or without immature root. Methods: An electronic search was done in ResearchGate and PubMed using terms about revascularization and regeneration in endodontics between 2004 and 2018. Every clinical trial was read and selected based on the most interesting cases no regardless of the results. Results: Thirty publications are noted in this research that used triple antibiotic paste consisting of metronidazole, ciprofloxacin, and minocycline as an intracanal medicament. All canals were irrigated with sodium hypochlorite 2.25% or higher and in no case were they mechanically instrumented. In 93% of the relevant studies, mineral trioxide aggregate was used as an intracanal coronal barrier. 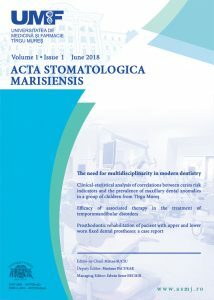 Conclusions: Modern endodontic therapy on immature teeth with immature apex and necrotic pulp has achieved excellent results using antibiotic paste and blood clotting without any mechanical instrumentation.